We have had some fantastic early spring fishing this week, both from the shore and boat. Plenty of Plaice from the Western End of Chesil, with Rays showing all the way from Lyme Regis to the Bridging Camp, where an 11lb Thornback was caught. Loads of Smoothound have come on the night tides from Abbotsbury, West Bexington and bridging Camp. Almost all of them have come on Peeler or live Hermit. Loads of Mackerel are now showing all along the beach, with Herring in amongst the shoals. Weymouth Stone Pier, has produced almost a dozen different species this week including Plaice, Pollock, Whiting, Wrasse and even a Dragonet. This is a great mark for anglers of all abilities from kids to seasoned vetrans, looking to catch numerous species. Portland has seen plenty of Rockling and Pollock caught over the past couple of days. 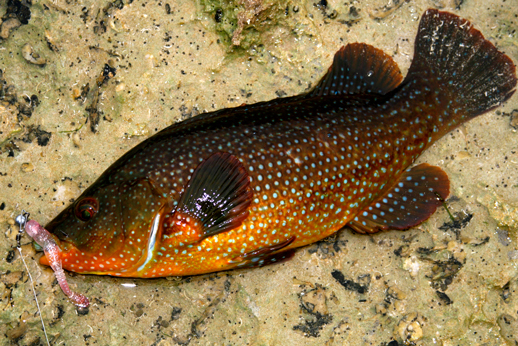 I had a session on Wednesday and managed my first Wrasse of the year on a Lure (pictured above). Then a quick session on my favourite Pollock lure, a Meggabass Metal X Bubble Head produced 19 Pollock in 25 casts. It would have been more but I ended up with a wind knot and couldn’t undo it due to me not replacing the batteries in my head torch, grrrr! Kimmeridge has been slow this week with only a few Pollock at first and last light. 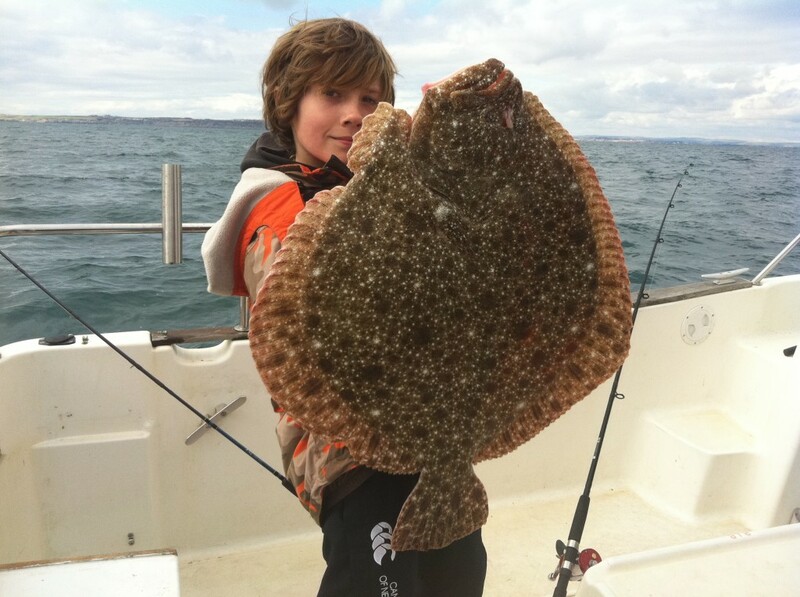 2 Responses to "Catch report from Chesil Beach, Weymouth, Portland and Kimmeridge bay, 23rd March"
Some good fishing along your way this week by the sounds of things, great colours on the wrasse and a nice turbot. Hopefully things will pick up around here soon, still seems a bit slow at the moment.